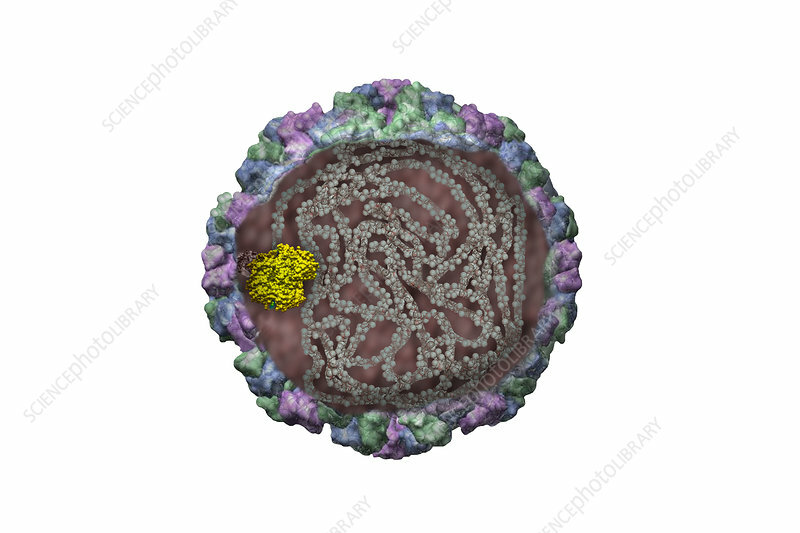 Cutaway view of norovirus showing the genome. Noroviruses are a genus of single-stranded RNA, non-enveloped viruses in the Caliciviridae family. The viruses are transmitted by fecally-contaminated food or water; by person-to-person contact; and through the air with subsequent contamination of surfaces. Noroviruses are the most common cause of viral gastroenteritis in humans, and affect people of all ages.